How to grow corn is as easy as falling off a log. 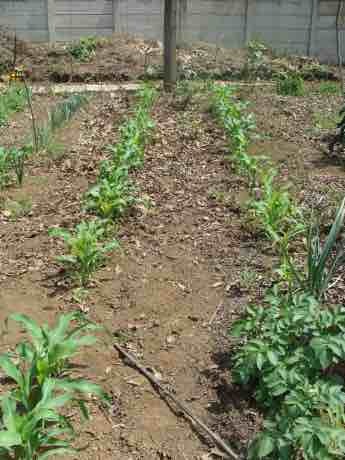 How to grow corn is not rocket science but it does take some patience and a large garden. If you want to enjoy the most delicious, sweet tasting, fresh food then you make the time. This page was last updated by Bernard Preston on 12th April, 2019. Of course, nutritionally speaking, any food straight from the garden not only tastes better, but is healthier; once picked and exposed to air all vegetables start to deteriorate. Corn, known as maize or mealies in much of the world, is really a grass variant, like wheat, barley and rye. They all have their merits, though many people today are allergic to the new high protein types. There's a move back to the old varieties, like Hickory King; also then you can be sure they are not genetically engineered, which is still a thorny question. Actually they taste better too in my book, though they may be lower in certain amino acids like lysine. If you're enjoying a rounded diet you need have no concern. Lysine is found in abundance in many foods. 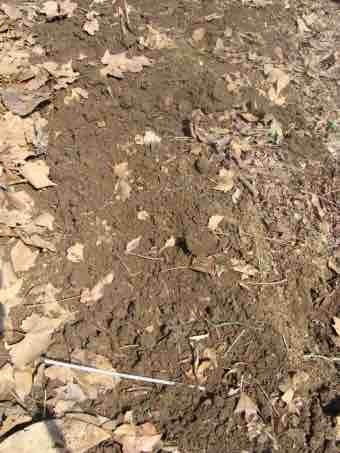 The first step, particularly if you are into organic gardening is to fork in plenty of well rotted manure. If you are blessed with a worm farm, then it's perfect to add a few shovelfuls of vermicompost to the row before planting. A new way to do this, which we'll cover in another blog, is the use of a chicken tractor. It's a portable pen which can easily be moved around the garden. 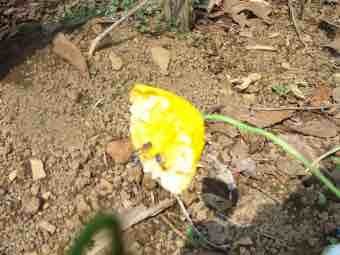 The birds clean up old vegetable waste material, fertilize the patch and give you golden yellow fresh eggs. 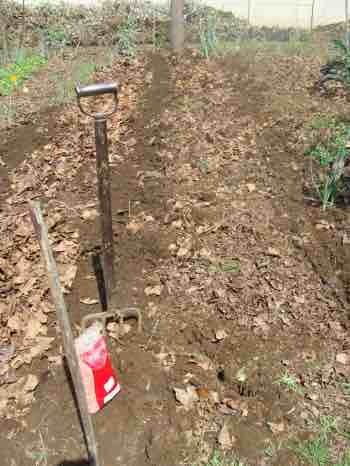 It saves you weeding, and deep trenching for compost; in short a lot of time and energy. They happily grub away after cutworms and the nuts of pestilent weeds with a patience and an astute eye that we lack. There are many chicken tractor designs, but I chose something very basic. Once the corn is a metre or more high, the hens love to spend the day scratching in their shade, hunting for grubs. In England they call them proper eggs, though I confess I have no idea what improper eggs are! Those from hens reared in cages, I suppose. How to grow corn gives you a taste of really sweet vegetables fresh from the garden. If you are fastidious, put out a string to get the rows straight, but corn grown in crooked lines tastes just as good! The rows need to be about a metre apart and I plant them quite close, about 6" allowing for cutworm fatalities and poor seed that doesn't germinate. Also then you get a good cover which shades out the weeds. For the average family, planting two rows every month from spring to midsummer should keep you in corn. Personally I'm not crazy about sweet corn, but you choose the variety you like. Some have longer growing periods than others; talk to the nurseryman. The seed remains vital for a few years, so it makes some sense to buy a large packet; it's a quarter of the price. Green peas have just come out of this ground, so it's rich in nitrogen. I've scraped away the mulch and made a small trench with the fork. It's not hard work, and probably took half an hour to prepare two rows. Just drop the seeds into the drills, not bending to save your back, and don't fuss if they bounce about. The corn will taste just as good. Roughly 15cm apart is good. Then, using your fork, cover the seeds with soil so that they are about an inch deep, and pat it down with the implement, or simply walk over it. The seeds are virile and if it's too deep, or shallow, it makes little difference. 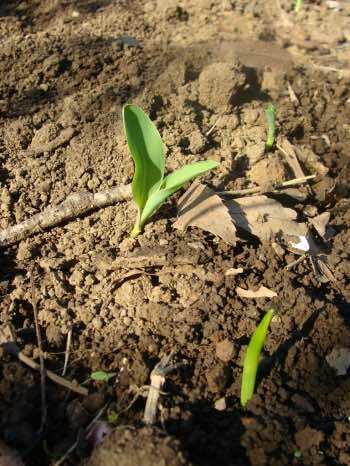 The corn puts down very strong anchors to keep the plant upright, but even so if the seed is too shallow they may be blown over in a strong wind. My three year old grandson helped to show me how to grow corn, so the plants will be prolific in a few places in the row! Then we took time to smell the poppies, minding the bees that love the pollen. Turning my grandson into a like minded greenie who takes no drugs and is disgustingly healthy is one of my ambitions! He will be thoroughly brainwashed! This is a page under construction. Every few weeks I'll add an update showing how to grow corn is progressing. In about three months we'll be enjoying fresh corn on the cob. 25th September: the first seedlings are getting me excited; I'm just as enthused as my grandson when seeds poke their heads through! Have you started the green journey? It's worth the ride. Here's the corn at 6 weeks; 21st October, 2015 to be exact. We're in the midst of the worst drought in 100 years apparently in South Africa; nevertheless the plants are looking healthy, largely due to the water from our reservoir; it's replenished by rain from the roof. It's easier to plant monocultures together, but you'll notice we allow the potatoes and leeks from last year to continue, and the compost heap in the background. It's time that was turned, and more horse manure added. Corn in particular is wind pollinated so they can't be too far apart. Three more rows of corn have now been planted in another part of the garden; they makes eight in all, with two more to come in the next few weeks. We like to enjoy fresh corn from the garden over a 3 to 4 month period; January to April. They need just one good weed, and thereafter your corn for the most part shades out the opposition. We eschew all herbicides and insecticides in our green garden; it does mean some losses, but not loss of our health! Corn in flower is one of the finger licking moments; it's nine months since you've had corn on the cob, and you just can't wait to get your hands on them; patience is a virtue, right! Corn on the cob, fresh from the garden and dropped into a pot of boiling water is a delight for tired eyes and a discerning tongue. Finally, after 3 months, we are about to reap our first mealie, as we call them; they are filling out fast and with luck within a week we'll have our first corn on the cob. 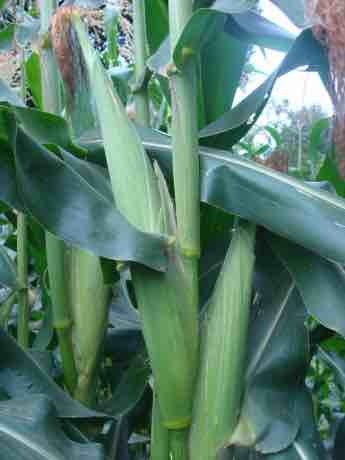 It's been quite a long wait, three-and-a-half months, but most of the plants have two cobs; mouth-watering stuff. It's the last week in December, we now have four months of corn to enjoy. On January 1 we enjoyed the first cob; they were planted on the 11th September. How to grow corn isn't difficult; about 4 months. God, our God has blessed us. 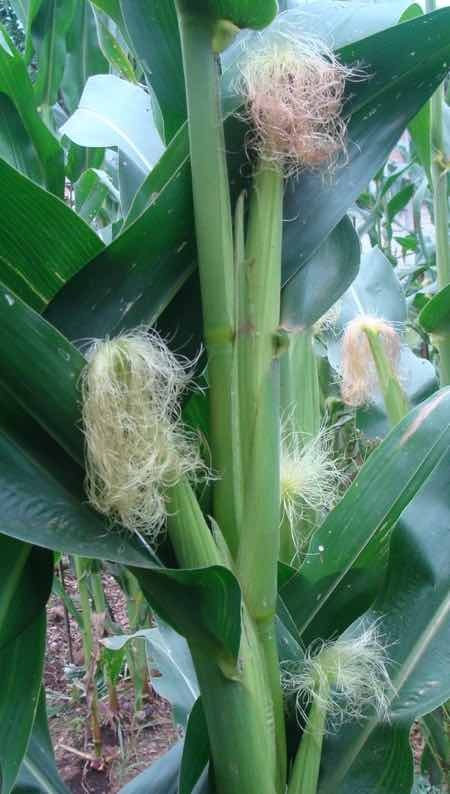 Each of these ears of corn has around 800 kernels; some plants have two or even three cobs. It strikes me again how terribly blase we have become, and take it for granted that you can plant one pip and get 1,000 or more back a few months later. The earth has yielded its increase. To me it's a wonder, something sacred. Critics say I'll shortly be telling you about fairies I've seen in the garden. 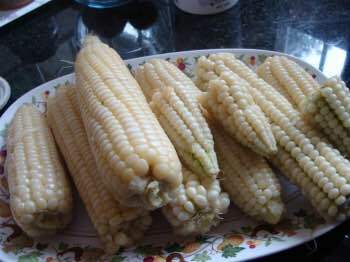 In part it's perhaps because most folk have become divorced from the land; I wonder how many folk on the planet never once plant a mealie pip, as South Africans call them, or any other seed for that matter. They can never grasp the wonder of it all. How to grow corn is a spiritual matter. Be blessed as you read the psalms of victory lyrics; success over hunger and even starvation, and nutrient deficiency of phytochemicals like zeaxanthin. Don't believe the silly belief that mealies and the like are fattening; it's the refined starches like white rice, corn flakes, cakes, cookies and dainty bread rolls that make us obese. I've been eating 2-3 every day for three weeks now, and haven't put on a pound. Well, if you eat too much of anything, I guess, it'll eventually make you obese. Because we have quite a large garden, with 600 plants in five generations, we look forward to corn on the cob every day for the next few months, and plenty over for friends and family. Not to be forgotten, we'll have a surplus to feed our chooks. Our chicken tractor design has been a great success, but now we have to feed the birds. A surplus of corn will go a long way to caring for them. They love the young corn, but once it gets dry, hard and mature then we turn to sprouted corn for chickens. A staggering 27% of children under the age of five in South Africa are permanently stunted. The reasons are complex, but the invader brown rat gets a lot of the credit, and forcing rural folk to feed the children on maize meal from which the germ and bran have been removed. That's where the protein, fats, vitamins and phytochemicals are stored; the result is malnutrition. Phytochemicals in fresh maize, as we call it down in the very deep south, are particularly rich in antioxidants giving us protection against the many cancers seeking to invade our bodies. If you have the garden space, how to grow corn should be on the agenda. In addition to the phytochemicals, corn is high in vitamin B3 which helps with cracked skin, and vitamin B6. 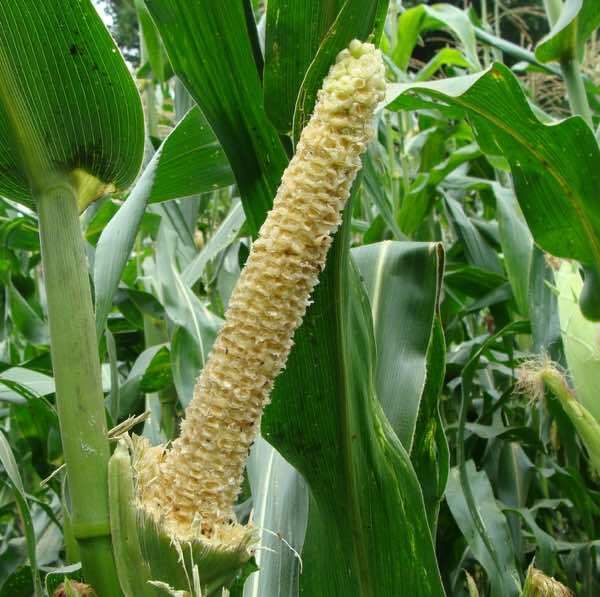 Corn has been shown to help stabilise blood sugar in diabetics, having a large amount of fibre, and perhaps surprisingly has only a medium GI rating. It's not rapidly digested into sugar like white rice and potatoes. Certainly it should be eaten only in small amounts if you have a serious weight problem, or are banting. How to grow corn gives you a measure of control of the food you are eating. Fresh from the garden, organically grown with no pesticides, herbicides or inorganic fertilizers, you know you have a healthy product. As a healthnut, I, Bernard Preston, was excited to see the research showing that eight to ten coloured foods per day will reduce the all cause of death by a massive one third. Much of it is because of phytochemicals like lutein and zeaxanthin; a deficiency increases the likelihood of going blind from macular degeneration by 40%. The botanical name for corn is Zea mays; xanthin means yellow, and hence the name for this very important carotene, zeaxanthin; the yellow pigment in corn, and absolutely vital in the eye. Read more at zeaxanthin macular degeneration. There's a second important phytochemical needed to prevent adult onset blindness; read about this at lutein macular degeneration. Five million Americans wouldn't be blind if they simply ate fresh kale, spinach, broccoli and corn on the cob on a regular basis. How to grow corn is not "small beer". Top grub as it's known, the maize stalk borer, is endemic in Southern Africa. The adults caterpillars emerge from pupae in early summer attacking the young leaves and then bore into the stalk. We regularly find these pupae in the compost heaps but have little problems from the caterpillar as we allow the hens to sift through the compost before planting. Refined grains are absorbed in the small intestine, forming glucose that is quickly absorbed into the blood stream. Many have a high glycemic index and cause a dangerously high surge and consequent outpouring of insulin; constantly snacking on high GI foods like crackers, colas and candies eventually causes insulin resistance, leading to diabetes. Whole grains are another story; much of them are resistant to digestion in the small intestine, instead reaching the large intestine, or colon, as it's called. In today's world, many of us suffer from inadequate microflora that are demanded by a healthy colon to ferment these resistant starches, and prevent the so-called leaky gut syndrome. Research is abounding, but it's interesting that many neurodegenerative diseases appear to emanate from an unhealthy large intestine. Probiotics are the solution to a healthy colon and you can either pay a lot of money for them, or take the time to make your own. It takes me about five minutes every day to be able to enjoy kefir benefits. It's purely anecdotal, but this fermented dairy product has almost eliminated the bowel pain and discomfort that I have suffered from for years. Heartburn and indigestion are largely history. If you want to find out how to grow corn, then find out too how to make your own kefir, so that the starch can be properly digested. Healthy choice foods when you are young are what makes you confident that you can approach old age with aplomb. Something will get you eventually, but how about at 90 instead of 50? 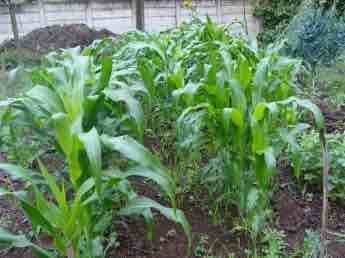 How to grow corn is only for those alas who are fortunate enough to have a large garden. Well, exercise is important and, if you have a stressful job, proper holidays. Our thoughts are that it is frustrating to be worrying each day whether we've had enough lutein today, or beta carotein, or this or that vitamin or mineral. Instead, we enjoy a wide range of foods, mostly from the garden, but then it's impractical to grow chickpeas and sesame seeds, so for our authentic hummus recipe we have to buy in these commodities; they contain the vital amino acids for minds young and old. I'm not enthusiastic about that senile dementia! Bernard Preston would rather enjoy healthy choice foods on a daily basis. One way is to make sure there are some fresh mealies on your plate. How to grow corn is one way to ensure that. Bernard Preston's mother, in competition with three siblings and five cousins once apparently ate thirteen cobs at a sitting, winning the trophy. Perhaps it is to my grandfather that I really should attribute my love of how to grow corn; and before him one of his forebears. These glorious habits and hobbies are handed down from one generation to the next; are you teaching your little people? Is is any wonder I love corn on the cob? 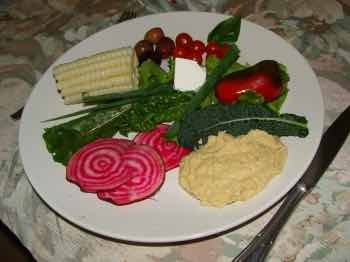 Her family was vegetarian and, though I eat meat, I have a great love for fresh salads and vegetables. It's because of them that my cholesterol is "dangerously low" as I kid my friends who open their eyes when they see how much butter I spread on our low GI bread. How to grow corn is one small part of the solution; it's definitely on the menu in our modified Banting diet. Just for fun, combining different fascinations, this month I'm trying some worm farm experiments on our corn. 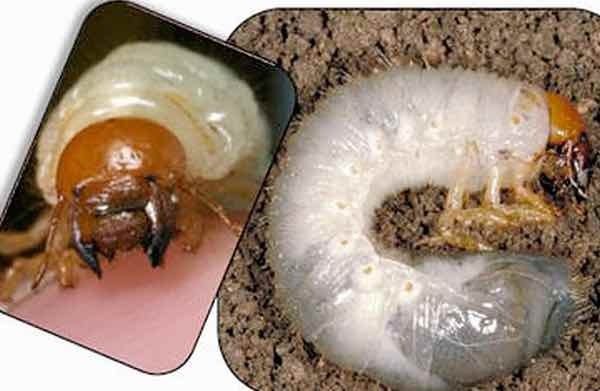 Does the worm wee, an organic fertiliser, really perform like it's cracked out to do? Let's find out. Twice a week I'm going to water two rows of corn with worm wee, the third row getting an equivalent amount of water. I wonder what the result will be. In theory it should introduce a wide variety of nutrients back to the soil from all the different vegetable waste from your kitchen. Follow me every few weeks as I update our rainbow worm farm experiments. Today it's the summer solstice, 2016 in the southern hemisphere; just a few days before Christmas. I'm interested in whether the corn is taller, and obviously more healthy, the ears larger and the mealies, as we call them, sweeter. To grow the healthiest corn you also need to know about starting a compost pile. It's all about getting your garden soil ready for planting. We use a minimum of tilling now to reduce the carbon loss to the atmosphere. Succotash is another of our delights; a healthy traditional corn and beans recipe. The limas also have a long growing season but they too are looking great and it won't be long before we will be thriving on succotash recipe. You really need fresh lima beans and know how to grow corn; only the very lucky can enjoy the best succotash! Starting a compost pile is essential in every garden; when considering how to grow corn organically, there are two considerations. 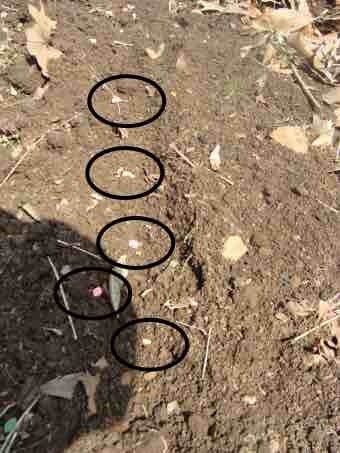 The amount of nitrogen in the soil. Sufficient water especially when they are in flower. Just add some extra wrigglies from the worm farm, and allow the chickens in the garden to scavenge and add nitrogen, and you'll find that starting a compost pile isn't rocket science. It's hard physical work, though, but there again, the hens do half the work. Then harvesting and storing sufficient rainwater during the wet season is the backyard permaculture solution to a prolonged drought.